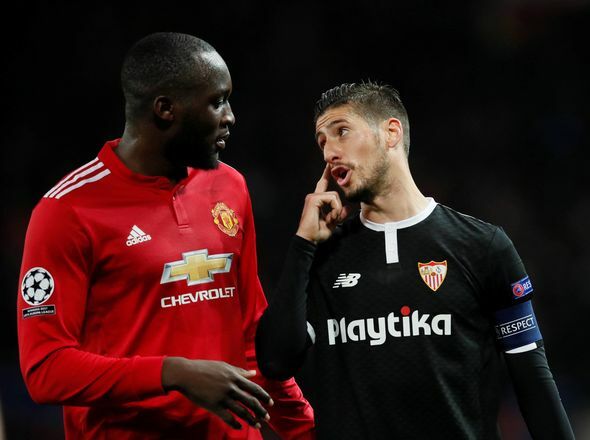 Manchester United will bid to become the third English side to reach this year's Champions League quarter-finals when they face Sevilla at Old Trafford in the second leg of their last-16 encounter. United, three time winners of this competition, drew 0-0 in the first leg in Spain last month. 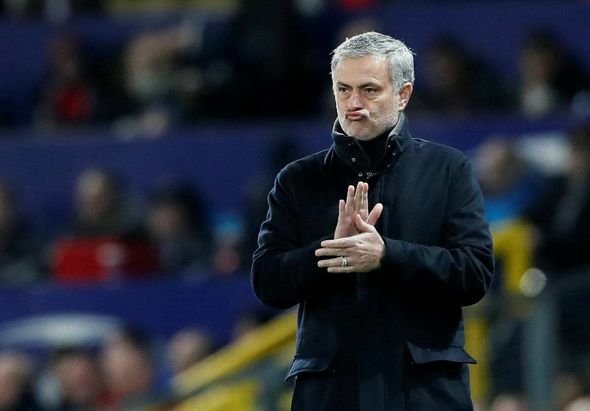 Jose Mourinho’s side go into the game full of confidence after Saturday's 2-1 victory over Liverpool cemented their place in second spot in the Premier League to make their qualification for next year's Champions League via a top-four finish highly likely. 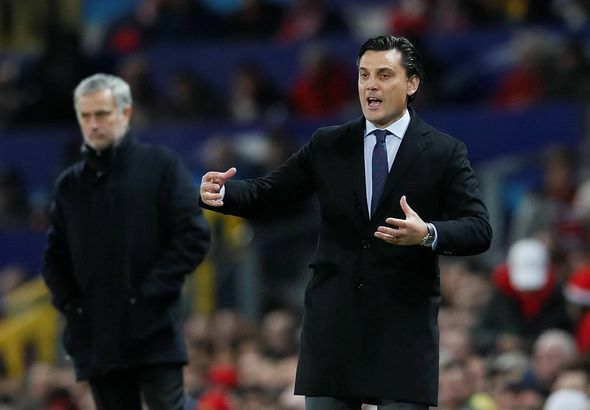 That is a marked contrast to last season when they finished sixth and had to win the Europa League to earn a place back in the continent's elite club competition. 60: Suddenly it’s end-to-end stuff! Lukaku spins his marker before firing low at Rico. Muriel charges up the other end of the field and very nearly diverts a cross from the right goalwards. Bailly did well to get his body in the way. 57: Edin Dzeko has given Roma the lead against Shakhtar Donetsk. It’s now 2-2 on aggregate and Roma have the away goal. 55: OK, this is getting better now. Correa, who’s been Sevilla’s best player by a mile, dances into the area before tamely sliding a shot wide. Early signs that we’re going to have some goals tonight. We’ve waited bloody long enough! 54: Alexis Sanchez wins a free-kick in the middle of the park, as he draws an over-zealous challenge from N'Zonzi. Young’s set-piece is easily cleared. So close! Lingard draws a really nice save from Rico. The winger’s first touch took him a little too wide. 51: Bailly to the rescue! Sevilla sliced Manchester United wide open there. Fellaini completely loses Correa and lazily trundles back while the attacker receives the ball in acres of space inside the penalty area. Bailly flies over and dispossesses him as he’s pulling the trigger to save the day. 48: Sevilla have won five of their last penalty shootouts in Europe. I think they’d take a 0-0 to force extra time. 45: Jose Mourinho has resisted the urge to throw Paul Pogba and Anthony Martial into the mix. We’re back underway with no changes. If things continue like this then please send help. I can’t watch another 45 minutes of that. HT: It’s goalless in Rome too folks. As things stand, Shakhtar Donetsk are heading through to the quarter-finals. 1-2 on aggregate. Lee: Amazing how we are playing this game so poorly. Biggest game of the season and were risking going out with such a negative approach. Depressing. Chana: Both team treating this as it’s a pre-season friendly instead of the chance to qualify for the quarterfinals of the Champions League. Embarrassing. Adam: How can Jose Mourinho get it so right one day, then so so so wrong the next? Genuinely baffled by his selection and tactics tonight. 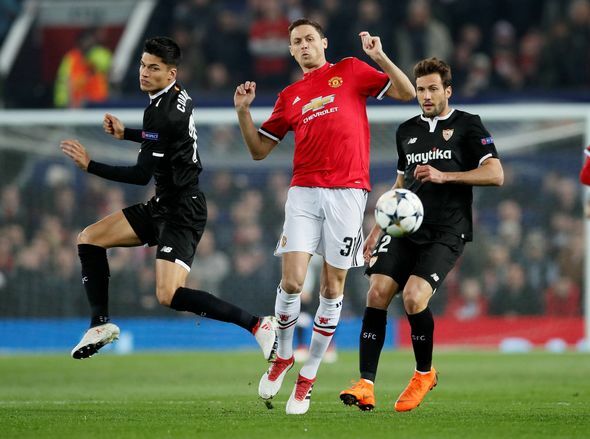 HT: Manchester United have mustered just two shots on target in 135 minutes against Sevilla in this tie so far (Sevilla have attempted nine). HT: And thus ends a very forgettable 45 minutes of Champions League football. Neither side have taken the initiative or look like making the breakthrough. A clear sign of the quality of this game was that there was zero minutes of added time. 45: Much better. Lingard gets in behind the Sevilla defence but doesn’t see Lukaku in acres of space in the middle. Sevilla clear the resulting corner. 43: Some cracking defending from Sevilla to block efforts from Lingard, Fellaini and Sanchez. Interesting to see what United can do when they let the handbrake off. 40: Save! Fellaini fresh from his appearance in GQ (let’s not go there again) plays a one-two with Sanchez before seeing his shot saved. 38: Do you think these sides are confused about how to approach this game? Perhaps the 0-0 scoreline has left them both ultra cautious. 36: A lovely ball from Lingard to pick out Fellaini at the back stick, but the Belgian's downward header can't find a team-mate. 33: Yes Marcus! The youngster tries to take the game by the scruff of the neck by running at defenders. It didn’t work from him this time, but that lifted the crowd. 30: Muriel must have missed about 15 chances over the two legs. Once again he’s played in down the left and shanks it wide of the post. This could be confused with a testimonial or pre-season affair. No tempo and very few moments of quality. This is for a place in the quarter-finals of the Champions League, lads. Pull your fingers out! 25: United’s Plan A appears to be going aerial to Fellaini or Lukaku with Sanchez and Lingard picking up the pieces. It’s not really worked thus far. 22: It’s gone real quiet inside the stadium now. United fans are getting frustrated with moans and groans as the hosts pass the ball around the back for the sake of it. Restless. 19: The visitors are getting to the edge of Manchester United’s penalty area far too easily. Jose Mourinho looks a fraction more anxious on the sidelines now. This has the hallmarks of a lethargic sleepwalk out of the competition. 16: Sevilla have had 60% of the possession so far. United’s early positivity has subsided as Vazquez basis another one deep into the Stretford end. 13: United have taken their foot off the has slightly. Eric Bailly is forced into action when Correa lines one up. The centre-back then inexplicably gifts the ball back to Sevilla, and is fortunate that Muriel skews it wide. Why on earth is Ben Yedder on the bench?! 10: Manchester United have already been more of a threat on Sevilla than the away leg and just 10 minutes in. Positive start from the hosts. Correa heads over from Banega's corner. 8: And again… Lukaku nearly flicks a cross from the left goalwards but a block from Mercado prevents any damage. Banega collects a booking for a dangerous late challenge on Sanchez. Rashford blasts it on target but Sergio Rico palms it away. 5: Bright start from the hosts, and I mean really bright. United are moving the ball quickly, pressing well and look dangerous every time they move forward. Rashford collects the ball from Sanchez before seeing his effort blocked. 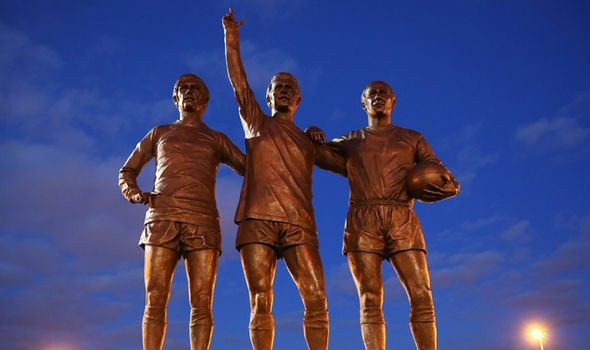 3: Ahhh, it should have been a magnificent opener for Manchester United! 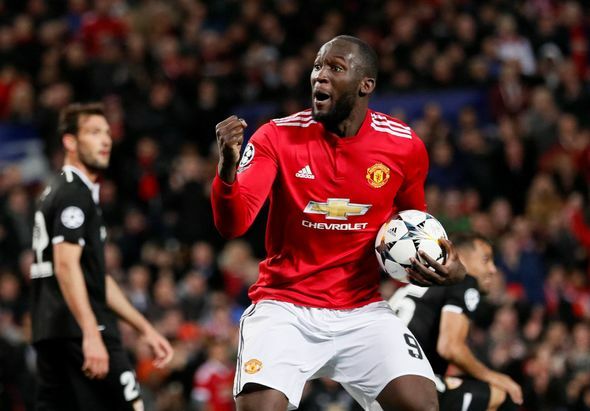 Lukaku knocks Kjaer off the ball before playing a sweet one-two with Lingard and blazing miles wide. 1: And we’re off! Ryan Giggs is telling SNTV that 0-0 is always a dangerous scoreline, but thinks United will win at a canter. Jose certainly looks relaxed with his hands in his pockets. 19:43: We’re almost underway folks. 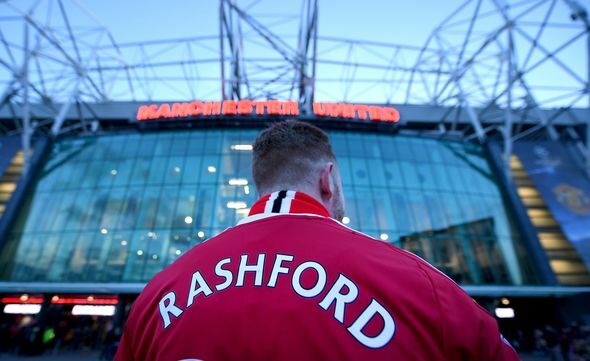 It’s a packed house inside Old Trafford and the Manchester United fans have responded to Jose Mourinho’s plea to get behind the side tonight. It’s bouncing. Manchester United XI: De Gea, Valencia, Bailly, Smalling, Young, Matic, Fellaini, Lingard, Sanchez, Rashford, Lukaku. 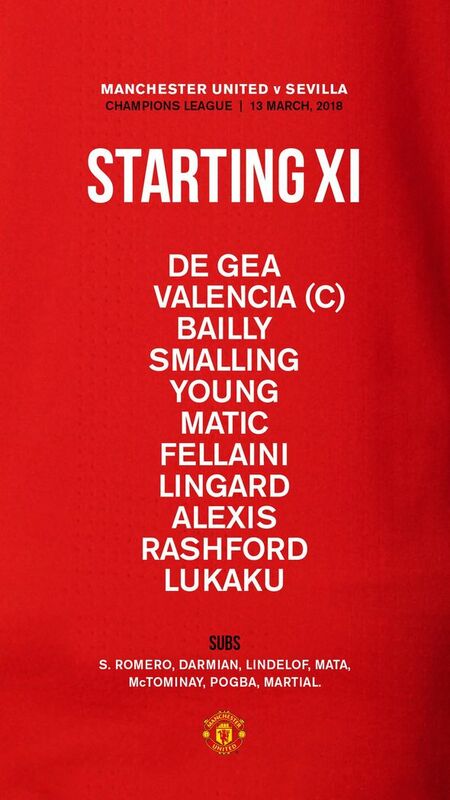 Subs: Romero, Lindelof, Pogba, Mata, Martial, Darmian, McTominay. Sevilla XI: Rico, Mercado, Kjaer, Lenglet, Escudero, N'Zonzi, Banega, Sarabia, Vazquez, Correa, Muriel. Subs: Soria, Ben Yedder, Geis, Pizarro, Pareja, Nolito, Arana. 19:35: Not 100 per cent sure which boffin discovered this statistic, but I’m inclined to say they wanted Sevilla to qualify. There have been 30 previous occasions of a side drawing 0-0 in a Champions League knock-out tie in the first leg, away from home. Of those 30 ties, the team playing away in the second leg have progressed on 21 occasions (70%). Aleksander: I can see a repeat of Man Utds 2008 semi-final vs Barcelona. 0-0 in first leg, so United to score early tonight and then hold on for the slender and nervous 1-0 lead. Ricky: The fear tonight is a nervy lacklustre 0-0 at half time and then holding a slender 1-0 lead going into the dying mins at Old Trafford, fearing that one moment to ruin our hopes. Well: Nothing but a win tonight please lads.. Fight for our spot in the quarters!! Nice early goal. Make Sevilla wish they hadn’t come to OT!!! Let’s smash it. 19:25: Some cracking anecdotes being broken out amongst the BT Sports panel. Rio Ferdinand has just recounted a story when Sir Alex Ferguson called him and Paul Scholes to one side, asking them whether he should start David de Gea or Tomasz Kuszczak. He also revealed that De Gea wears contact lenses. Not sure what you’re supposed to do with that information but I found it interesting. 19:20: Jose Mourinho speaking to BT Sport: "If we don't go through we watch the quarter-final on TV. It's simple. "We have different options and we believe Marouane Fellaini's qualities make us stronger to start the game with. "I am sure Sevilla will be alive and in the tie until the end. It is a game of huge pressures for both teams. The home advantage they used very well in Seville and hopefully our people will give us a little bit of a push." 19:15: No the bets of nicknames. Do we have a better one for David de Gea? The Spaniard has saved 20/21 opposition shots that he's faced in the Champions League this season. He has only conceded one goal but Opta xG data suggests that the average goalkeeper would have conceded five goals from these shots. 19:10: The story of last week's Champions League ties were of experienced European powerhouses Juventus and Real Madrid respectively edging past Tottenham and Paris St Germain, both comparatively green at these stages of the tournament. 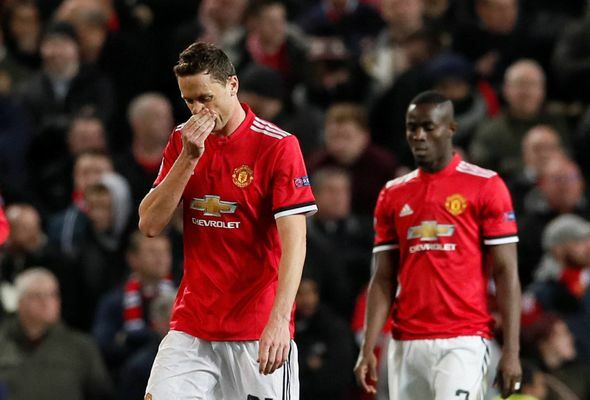 While this United side may not have accrued the Champions League nous of the Sir Alex Ferguson sides, they still have players such as Juan Mata and Antonio Valencia, who have played in the competition's finals. 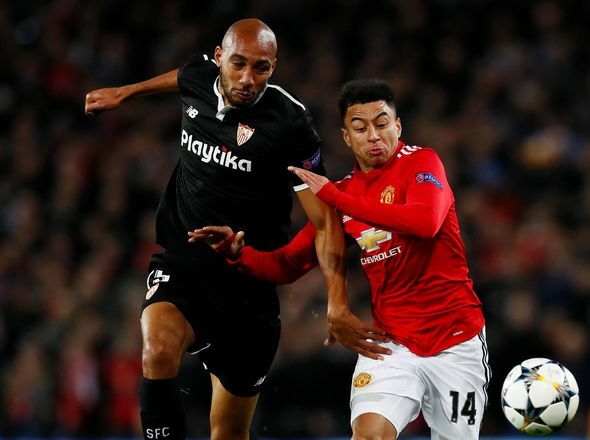 Sevilla have never reached the last eight of the Champions League and United will be hoping their additional experience works in their favour. 19:05: Manchester City and Liverpool both secured big away wins to put their respective ties to bed with 90 minutes still to play, yet United approached a trip to the Ramon Sanchez Pizjuan with a more safety-first style and secured just a 0-0 draw. That means it is still all to play for at Old Trafford and leaves United open to the possibility of crashing out on away goals. Jose Mourinho must hope his cautious tactics in Spain are not what costs his side across the two legs. 19:00: I just… I don’t know what to say. Marouane Fellaini has taken time out of his busy schedule to have a photoshoot with GQ Style. One picture shows the Belgian’s hair is reworked into a 'Mickey Mouse' style and in another his hair is tied back by a bandana. 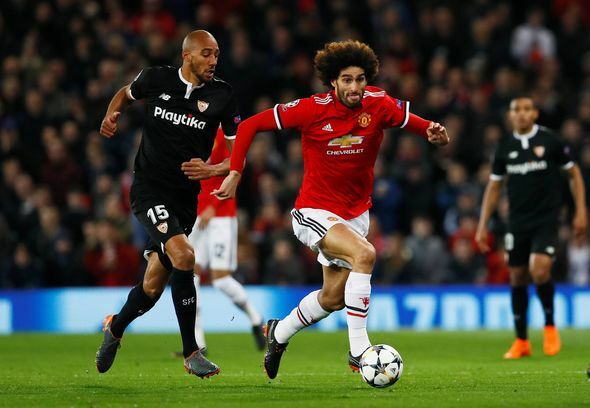 Matt: Marouane Fellaini starts? What is Jose Mourinho’s thinking here? Genuinely bemused and confused. The front four will score buckets against Sevilla though. Nicki: Why does every team selection put me in a bad mood. How does Fellaini get the nod over Pogba in the biggest match of the season. Makes no sense! Andy: Fellaini is either gonna drop a 10/10 masterclass, or a 0/10 diasterclass. No in-between. 18:50: Nice little Kaiser Chiefs reference for you there… they’re still cool, right? Anyway, I’ve just spotted what looks like the angry mob in that Simpson’s episode where the residents of Springfield attempt to close down the burlesque house. 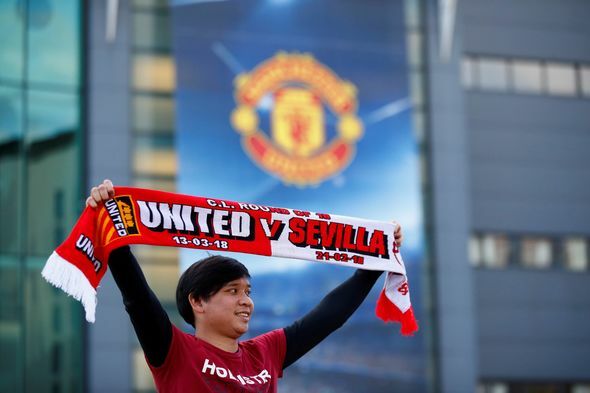 It actually turned out to be the Sevilla fans heading to Old Trafford. 19:45: Right, what has Jose Mourinho gone with tonight? He’s shown faith in young Marcus Rashford, who netted twice against Liverpool on Saturday afternoon. Paul Pogba is on the bench after missing the game against Jurgen Klopp’s side. Jose Mourinho said in his press conference this week that he didn't know whether the Frenchman would be available. Mind games if you ask me. 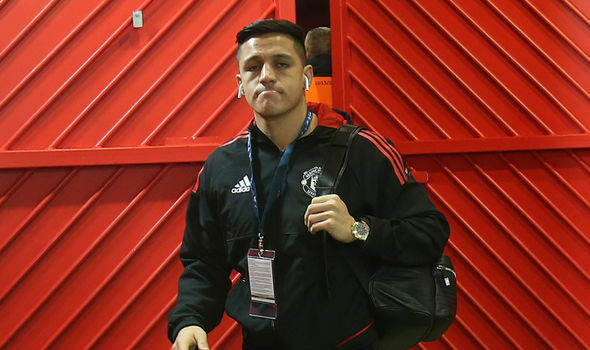 Elsewhere Anthony Martial returns to the bench following his return from injury. That was my long-winded way of saying Mourinho makes two changes tonight. Fellaini and Rashford IN, Mata and McTominay OUT. 18:40: And the line-ups have arrived. A quick glance tells me that Paul Pogba has recovered from his injury, but starts on the bench. 18:35: Team news should be dropping in any second now. While we wait, allow me to tell you what else is on the agenda this evening. Roma host Shakhtar Donetsk in the second leg of their round of 16 clash trailing 2-1 on aggregate after falling to defeat in Ukraine last month. Shakhtar have not reached the quarter-final stage of the Champions League since 2011 and even then they were hammered 6-1 on aggregate by eventual winners Barcelona. 18:30: United's hero at the weekend was homegrown forward Marcus Rashford, who marked his first Premier League start of 2018 with a brace. 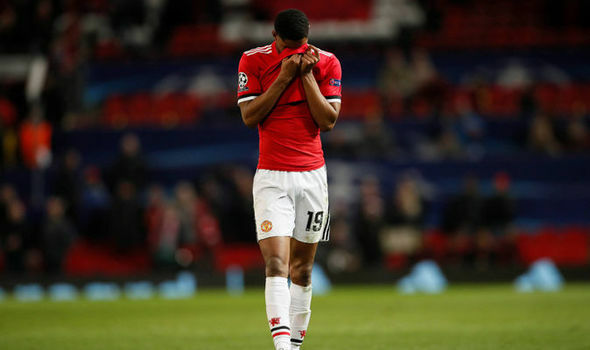 Rashford has experienced the kind of inconsistency many his age show but the 20-year-old offered a timely reminder of his brilliance against Liverpool to also prove to Mourinho he can be relied upon in the big moments. 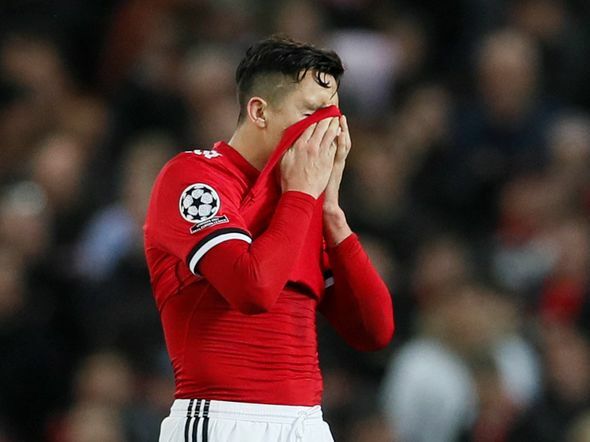 Alexis Sanchez had been underwhelming on the left anyway so Mourinho may consider utilising the Chilean more centrally again and allowing Rashford, a player surely imbued with confidence, to slot in on the left once more. 18:25: If you want to vent your frustrations, or discuss any issues in the world of football (within reason), then get in touch! 18:20: Hello everyone, I hope you’ve all been lucky at the Cheltenham Festival today. I started brilliantly with Summerville Boy in the opening race, and in signature fashion, proceeded to lose all of the next six. 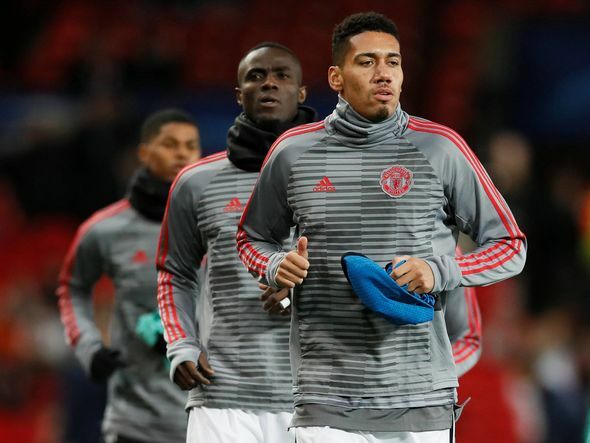 Anyway, we’re not here to blab about horse racing, it’s time for the football as Manchester United look to reach this year's Champions League quarter-finals. 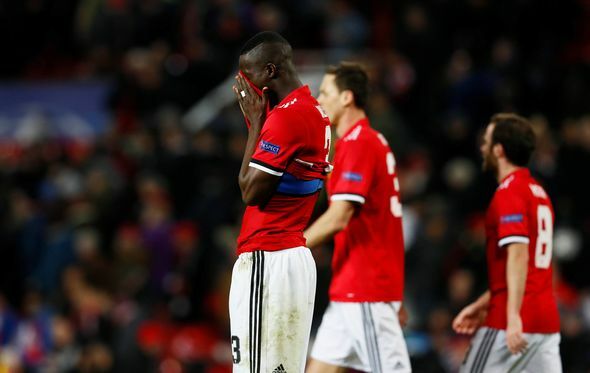 Paul Pogba is a doubt for Manchester United's Champions League last-16 second leg against Sevilla. The 24-year-old missed Saturday's Premier League win against Liverpool through injury and manager Jose Mourinho is unsure whether the midfielder will be available. 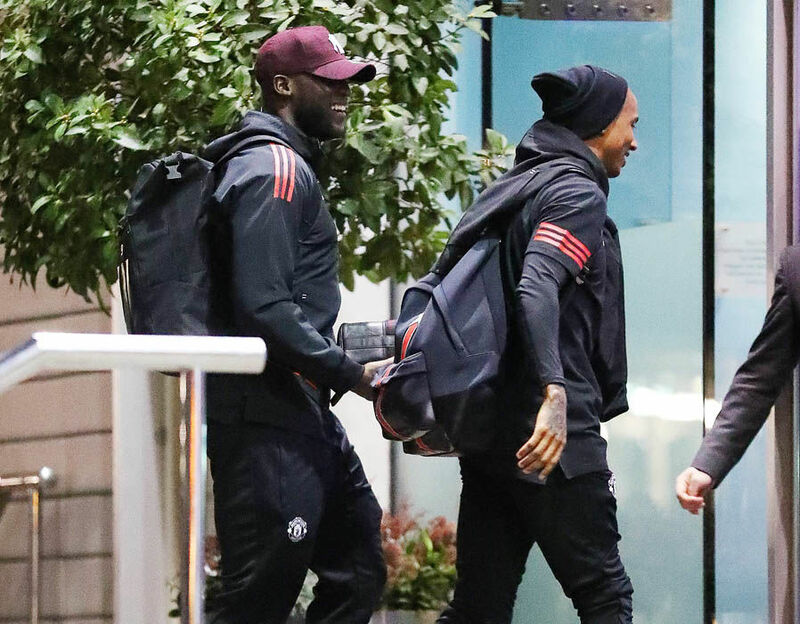 Anthony Martial is back and Zlatan Ibrahimovic trained with his United team-mates ahead of the match, but Ander Herrera, Marcos Rojo, Phil Jones and Daley Blind remain sidelined. Provisional squad: De Gea, Romero, Pereira, Valencia, Darmian, Shaw, Young, Lindelof, Smalling, Bailly, Matic, Carrick, Pogba, Fellaini, McTominay, Mata, Lingard, Martial, Sanchez, Rashford, Lukaku, Ibrahimovic. 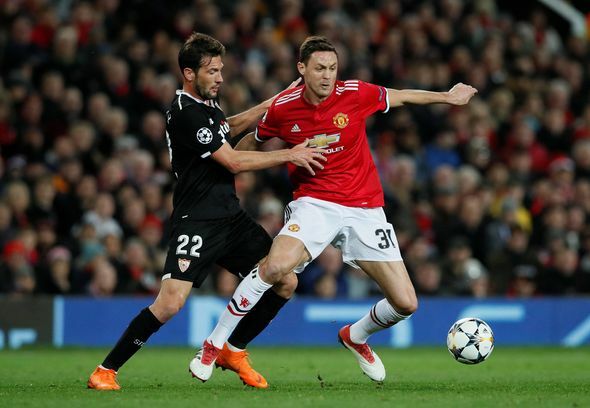 Manchester United vs Sevilla is being shown live on BT Sport 2 (Sky 414, Sky HD 433, BT TV 409, Virgin Media 532), with the pre-match build-up starting at 7pm.